Hello friends! This is a busy week for many Americans gearing up for Thanksgiving! 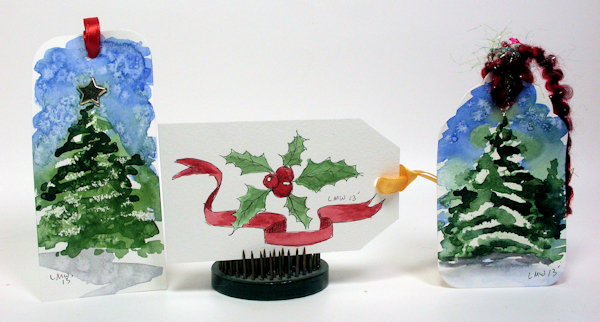 Why not take a quick painting break and make some gift tags for Christmas? Well, I gotta run! Til next time happy crafting!